Capture the heart of every group member with this indispensable, interactive book. 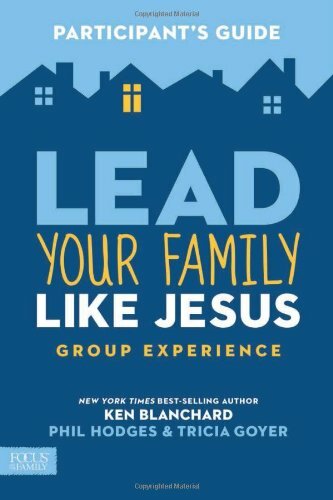 Make the most of your time together with to-the-point readings, discussion starters, creative activities, and application steps that bring the Lead Your Family Like Jesus experience home. Start your session with a “Grand Opening” that builds community and focuses your group’s attention on an aspect of family leadership. A “Watch This!” step follows the DVD segment with questions that get parents thinking and talking―and getting biblical input. “So What?” connects principles to practice, helping teams or individuals come up with action plans for applying the insights at home. “Your Turn” wraps things up with motivation for the week ahead. Blending the hard-won advice of veteran parents Ken Blanchard, Phil Hodges, and Tricia Goyer with your own group’s dynamics, the Participant’s Guide makes it all personal. It’s the perfect complement to the DVD―and the perfect tool for imperfect parents who want to grow.